Whitenoise is continuing to work closely with Ards and North Down Borough Council on 'The Big Plan' a consultation setting out a vision for the future of the borough. Feedback was collated and presented via 'The Big Conversation', a comprehensive report and suite of animations - see here for a previous post on this project. 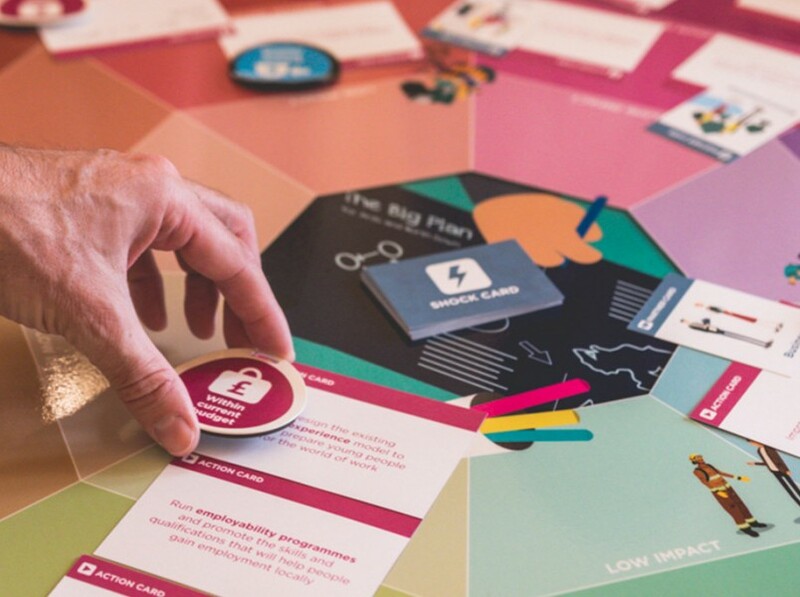 To keep the public and other stakeholders involved in the delivery of The Big Plan, This latest phase, 'The Big Game’ board game was created to help encourage participation, engagement and understanding, with players working as a team, getting to really understand the issues and consider the wider implications of potential solutions. Here is the first outing of the board game created by senior designer Nic Scott. It's Kick Off time again... The annual Kainos staff conference 'Kick Off 2018' took place on Friday 20 April, with all branding and event graphics provided by Whitenoise.